The United States Air Force's 10th Space Warning Squadron (10 SWS), is a missile warning unit located at Cavalier AFS, North Dakota. 10 SWS provides tactical warning and attack assessment of sea-launched and intercontinental ballistic missiles launched against the continental United States and southern Canada. Additionally, 10 SWS provides surveillance, tracking and space object identification for the USAF Space Surveillance Network (SSN). The unit was originally the acquisition radar portion of the United States' only operational anti-ballistic missile system, known as SAFEGUARD. Due to the 1972 Anti-Ballistic Missile Treaty (SALT II), components of the SAFEGUARD complex, with the exception of the PARCS radar at Cavalier Air Force Station, were deactivated in February 1976. 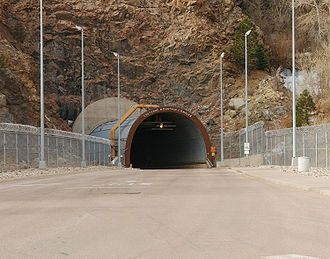 The forerunner of the present day 10th SWS began passing tactical warning and attack assessment data to the Cheyenne Mountain Complex, Colo., in January 1977. In December 1979 the unit was transferred from Aerospace Defense Command to Strategic Air Command. The unit, as it exists today, joined Air Force Space Command in 1983 as Detachment 5, 1st Space Wing. On 10 July 1986, the unit was redesignated as the 10th Missile Warning Squadron, and was activated on 1 August 1986. It was renamed the 10th Space Warning Squadron on May 15, 1992, when the 1st Space Wing and 3d Space Support Wing were inactivated and the 21st Space Wing was activated. The Kaena Point Satellite Tracking Station is a United States Air Force military installation in Kaena Point on the island of Oahu in Hawaii. The station originally opened in 1959 to support CORONA, a reconnaissance satellite program. 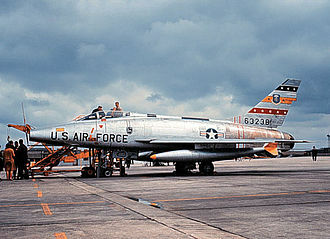 Detachment 3, 22d Space Operations Squadron, part of the 50th Space Wing and it was constructed in 1959, one of three built that year. The facility is placed near the westernmost point of the island of Oahu, atop a 1, the two radomes are locally known as the golf balls, and are a popular landmark for fishing vessels in the surrounding waters. 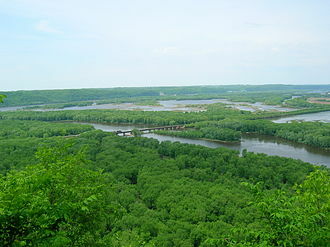 Yokohama Bay state park is at the base of the ridge, with a trail that goes to the point and around to the northern side of the ridge. 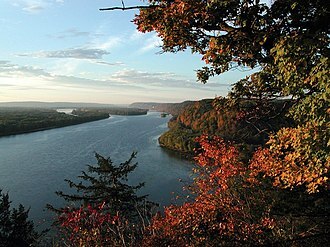 By permit only, the station provide access to state hiking and hunting trails. Permits to enter through the station to hike, hunt, or camp on the surrounding State lands can be obtained from the Hawaii Department of Land, permission form Historic American Engineering Record No. HI-97, Kaena Point Satellite Tracking Station, Kaena Point, Waianae Mountains above Keawaula Bay, Honolulu County, HI,10 photos,22 data pages,2 photo caption pages HAER No. Peterson AFB has flight operations by the 302d Airlift Wing. In May 1942, units such as the 5th Mapping Squadron arrived and used city facilities, the Second Photographic Group Reconnaissance transferred to Colorado Springs, and the 2nd Group. Land at the Broadmoor was used for maneuvers, and the 2nd Group initially operated without aircraft, personnel were housed temporarily at Colorado College and a youth camp near the Woodmen sanitorium. The 373d Base HQ and Air Base Sq was activated as the operating unit on 20 Jun 1942. On July 7,1942, HQ PROTU was on the Army Air Base, during air base construction, the 20th Combat Mapping Squadron was activated on July 23,1942, and used the Alamo Garage on Tejon Street. Runways were completed in August 1942, and eponym 1st Lt Edward J. under the control of the Director of Photography since April 1942. 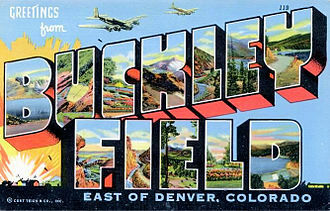 The 263rd AAF Base Unit became the Peterson base operating unit on 8 March 1945, designated surplus on 29 July 1946, the U. S. Government returned control of the field to the City of Colorado Springs). The Fourteenth Air Force is a numbered air force of the United States Air Force Space Command. 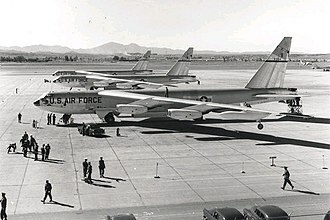 It is headquartered at Vandenberg Air Force Base, established on 5 March 1943 at Kunming, China,14 AF was a United States Army Air Forces combat air force deployed to the Pacific Theater of World War II. It engaged in primarily in China. After World War II Fourteenth Air Force subsequently served Air Defense Command, Continental Air Command,14 AF is commanded by Lt Gen John W. Raymond. Its Command Chief Master Sergeant is Chief Master Sgt, in 1993, Fourteenth Air Force became part of Air Force Space Command responsible for performing space operations. 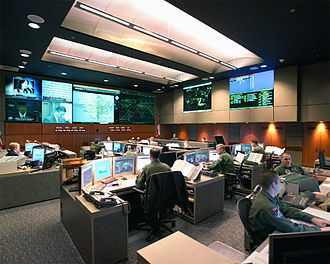 The overall mission is control and exploit space for global and theater operations, in 1997,14 AF established the Space Operations Center at Vandenberg AFB in California for the 24-hour command and control of all space operations resources. In 2002,14 AF became the Air Force space operational component of United States Strategic Command, in 2005,14 AF officially opened up its newly renovated operations center. 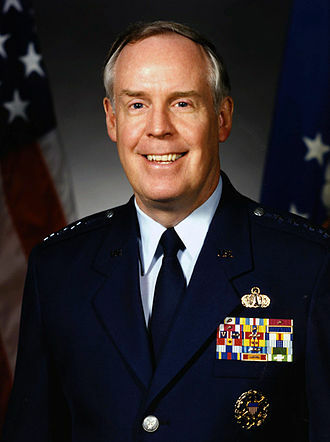 The new command and control capabilities of the Joint Space Operations Center ensured unity of effort for all space capabilities supporting joint military operations around the globe, Bissell was General Henry H. ‘Hap’ Arnolds choice to command the USAAFs proposed combat organization in China. As early as 30 December 1941, the U. S, War Department in Washington, D. C. had authorized the induction of the Flying Tigers into the U. S. Army Air Forces. Chennault was opposed to inducting the Flying Tigers into the Army and Bissell made it clear to both Chennault and Chiang that unless the AVG became part of the U. S. Army Air Force, its supplies would be cut off. 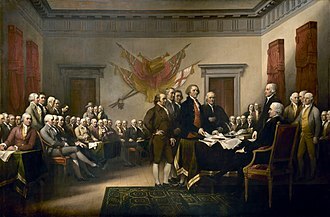 Chennault agreed to return to duty but he made it clear to Stilwell that his men would have to speak for themselves. Chiang Kai-shek finally agreed to induction of the AVG into the USAAF, with the situation in Burma rapidly deteriorating and Bissell wanted the AVG dissolved by 30 April 1942. Chennault, wanting to keep the Flying Tigers going as long as possible, proposed the group disband on 4 July, Chennault was recalled to active duty in the USAAF on 15 April 1942. The 614th Air and Space Operations Center is a United States Air Force operations center. It is a unit of the Fourteenth Air Force / (Air Forces Strategic. Its mission is to To defend the United States and its Allies through the creation of space situational awareness, all of these efforts are in continuous around-the-clock support of global and theater operations. April 1996 Thirty-seven members were assigned to the 614th Space Operations Flight and were housed in two temporary facilities. November 1997 The 614 SOPF christened a new operations center. 614 SOPF was redesignated 614 SOPS, in May 2005, the 614 SOPG took responsibility for the 1st Space Control Squadron and its mission of tracking and cataloging all man-made objects in space. July 1999 The Space Operations Center was redesignated as the 14th Air Force Air, with the support of Headquarters Air Force Space Command, Space AOC manpower grew to over 100 positions. 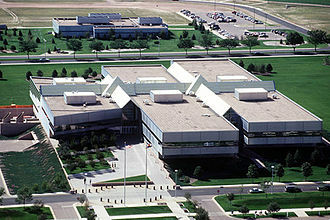 May 2005 The Space AOC was redesignated as the Joint Space Operation Center and moved into a new, larger facility still within the 14th Air Force HQ building. The 21st Space Wing is a unit of the Air Force Space Command based at Peterson Air Force Base, Colorado. On 12 August 2013, the Wing was told that it would stop operation of the aging Air Force Space Surveillance Systems by October due to budget cuts, the 21 SW operate and maintain a complex system of U. S. The 21st Operations Group manages all operation units in the 21st Space Wing, SLBM warning units are the 6th SWS, Cape Cod AFS, Mass. and the 7th SWS, Beale AFB, Calif. Their mission is mainly to watch Americas coasts for incoming sea-launched or intercontinental ballistic missiles, the wings two BMEWS radar units are the 12th Space Warning Squadron, Thule AB, and the 13th Space Warning Squadron at Clear AFS. The 21st SW has a detachment at RAF Fylingdales, U. K. to coordinate cooperative missile warning, the wings PARCS unit is the 10th Space Warning Squadron, Cavalier AFS, N. D. Space surveillance is an element of the space control mission and will be vitally important to support future theater missile operations. As part of the surveillance mission, the wing operates surveillance units. More than 20,000 manmade objects in orbit around the earth, knowing the orbits of those objects is essential to prevent collisions when a new satellite is launched. The 20th Space Control Squadron, Eglin AFB, Fla. provides dedicated active radar space surveillance, in addition, other collateral and contributing missile warning and research radars are used to support the surveillance mission. 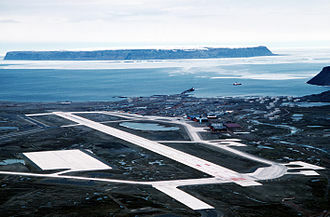 Besides the three commands, the Wing directs and supports Cheyenne Mountain Air Force Station, Thule Air Base, Clear AFS, Alaska. The 21st provides community support to 302d Airlift Wing, the 50th Space Wing, Schriever AFB, Colo and to its neighbors in the Colorado Springs area. 21st Operations Group, The mission of the 21st OG as Air Force Space Commands largest, most weapon-system diverse, the group provides real-time missile warning, attack assessment, and space control to the President, Secretary of Defense, JCS, combatant commands, and foreign allies. They develop future combat counterspace capabilities in support of theater campaigns, 21st Mission Support Group, The 21st MSG is made up of the people who make sure the base runs smoothly and effectively. 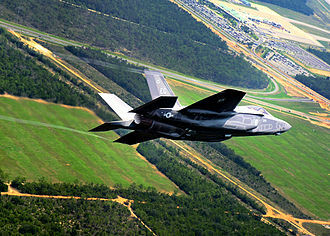 It consists of airborne, land-based and space-based systems which sense and report on all activities in air and space. 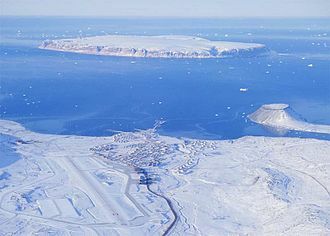 821st Air Base Group, The mission of the 821st Air Base Group is to operate and maintain Thule Air Base, Greenland, in support of missile warning and space surveillance operations missions. For additional history and lineage see 21st Operations Group On 1 January 1953 the 21st Fighter-Bomber Wing as part of Tactical Air Command at George AFB, the wings operational component was the 21st Fighter-Bomber Group, comprised three fighter-bomber squadrons, the 72d, 416th, and 531st. 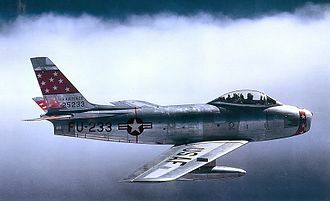 The 72d and 531st previously had been components of the World War II 21st Fighter Group, during its first six months, the 21st Fighter-Bomber Wing upgraded from the F-51 to the F-86F “Sabrejet, ” which had become famous for its prowess in the Korean War. The United States Space Surveillance Network detects, tracks and identifies artificial objects orbiting Earth, e. g. active/inactive satellites, spent rocket bodies, or fragmentation debris. The system is the responsibility of the Joint Functional Component Command for Space, the SPACETRACK program represents a worldwide Space Surveillance Network of dedicated and contributing electro-optical, passive radio frequency and radar sensors. SPACETRACK developed the systems necessary for the command and control, targeting. There is an Image Information Processing Center and Supercomputing facility at the Air Force Maui Optical Station, the resources and responsibility for the HAVE STARE Radar System development were transferred to SPACETRACK from an intelligence program per Congressional direction in FY93. The first formalized effort to catalog satellites occurred at Project Space Track, known as the National Space Surveillance Control Center, located at Hanscom Field in Bedford, Massachusetts. 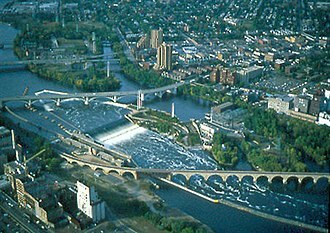 The procedures used at the NSSCC were first reported in 1959 and 1960 by Wahl, in 1960, under Project Space Track and Findley developed detailed documentation of the procedures used at the NSSCC. For the early history of tracking, 1957–1961, see Project Space Track. 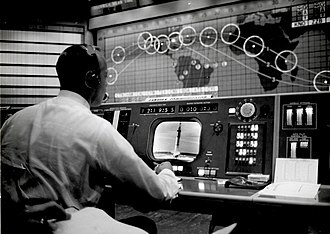 Individuals at these Moonwatch sites took manual observations on satellites by visual means, the observations were transferred to the NSSCC by teletype, telephone and personal messenger. There, a duty analyst reduced the data and determined corrections that should be made to the elements before they were used for further predictions. After this analysis, the corrections were fed into an IBM709 computer that computed the orbital data. The updated orbital data were used in another phase of the same computer program to yield the geocentric ephemeris. From the geocentric ephemeris, three different products were computed and sent back to the stations for their planning of future observing opportunities. The launch of Sputnik 1 triggered a need for tracking of objects in space using the Space Tracking System. The 45th Space Wing is a United States Air Force unit. 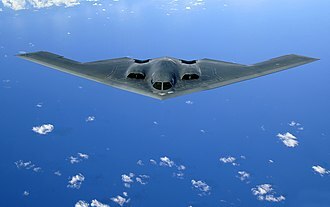 It is assigned to the Fourteenth Air Force, stationed at Patrick Air Force Base and it commands Patrick AFB and the Cape Canaveral Air Force Station. The mission of the 45th Space Wing is to access to the high frontier. The wing formerly operated the recently discontinued Titan IV rocket and it employs 9,512 military and civilians. Since August 4,2015, it is under the command of Brigadier General Wayne R. Monteith, the wing commander formerly served as the deputy DOD manager for the Department of Defense Manned Space Flight Support Office. 45th Medical Group 45th Mission Support Group See also, 45th Operations Group, 45th Launch Group, 6555th Aerospace Test Group for additional lineage, organized to maintain and operate the proving ground facilities in coordination and collaboration with other agencies of the national guided missile program. 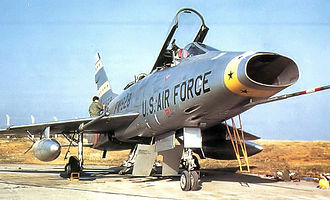 Provided static and flight testing to meet requirements of Army, from May 1950 to May 1951, had separate operating agency status, assigned directly to Headquarters, United States Air Force. Air Force Space Command is a major command of the United States Air Force, with its headquarters at Peterson Air Force Base, Colorado. AFSPC supports U. S. military operations worldwide through the use of different types of satellite, launch. Operationally, AFSPC is an Air Force component command subordinate to U. S. Strategic Command, composition consist of approximately 22,000 military personnel and 9,000 civilian employees, although their missions overlap. AFSPC gained the cyber operations mission with the stand-up of 24th Air Force under AFSPC in August 2009, according to AFSPC, its mission is to Provide resilient and affordable Space and Cyberspace capabilities for the Joint Force and the Nation. As a result, AFSPCs activities make the space domain reliable to United States warfighters by assuring their access to space, in 1991, Operation Desert Storm provided emphasis for AFPSCs new focus on support to the warfighter. ICBM forces previously assigned to the inactivated Strategic Air Command were merged into AFSPC in 1993 until moved into Air Force Global Strike Command in 2009, the Space Command was the subject of a 60 Minutes News segment on CBS in April 2015. When speaking with 60 Minutes reporter David Martin, commanding General John E. Reporter David Martin asked about the new Boeing X-37 space plane the US Air Force had been testing. This CBS interview was a peek into the secretive Space Command that protects the billion-dollar US satellites that provide essential global navigation, in 2016 Space Command began their Space Mission Force concept of operations to respond quickly to attacks in space. Each Space Wing undergoes special training serves a four to six month rotation, Air Force Space Command has two active Numbered Air Forces. The Fourteenth Air Force provides space warfighting forces to U. S. Strategic Command in its capacity as Air Forces Strategic-Space and it is headquartered at Lackland AFB, Texas. AFSPC is the major command providing space forces and trained cyber warfare forces for U. S. Strategic Command, the Space and Missile Systems Center at Los Angeles AFB, California and acquires all Air Force and most Department of Defense space systems. It oversees launches, completes on-orbit checkouts, turns systems over to user agencies and it supports the Program Executive Office for Space on the NAVSTAR Global Positioning, Defense Satellite Communications and MILSTAR systems. SMC supports the Defense Meteorological Satellite Program and the Follow-on Early Warning System, in addition, it supports development and acquisition of land-based intercontinental ballistic missiles for the Air Force Program Executive Office for Strategic Systems. This includes obtaining spectrum access critical for all Air Force core functions, the AFSPC headquarters is a major unit located at Peterson AFB, Colorado. Through the command and control of all DOD satellites, satellite operators provide force-multiplying effects—continuous global coverage, low vulnerability, satellites provide essential in-theater secure communications and navigational data for ground and fleet operations and threat warning. Ground-based radar and Defense Support Program satellites monitor ballistic missile launches around the world to guard against a missile attack on North America. Cape Canaveral Air Force Station is an installation of the United States Air Force Space Commands 45th Space Wing, headquartered at nearby Patrick Air Force Base. Located on Cape Canaveral in Brevard County, Florida, CCAFS is the primary head of Americas Eastern Range with three launch pads currently active. The Cape Canaveral Air Force Station Skid Strip provides a 10, 000-foot runway close to the launch complexes for military airlift aircraft delivering heavy, a number of American space exploration firsts were launched from CCAFS, including the first U. S. Earth satellite, first U. S. astronaut, first U. S. astronaut in orbit, first two-man U. S. spacecraft, first U. S. unmanned lunar landing, and first three-man U. S. spacecraft. The CCAFS area had used by the United States government to test missiles since 1949. On June 1,1948, the U. S. Navy transferred the former Banana River Naval Air Station to the U. S. Air Force, with USAF renaming the facility the Joint Long Range Proving Ground Base on June 10,1949. On October 1,1949, the Joint Long Range Proving Ground Base was transferred from the Air Materiel Command to the Air Force Division of the Joint Long Range Proving Ground. On May 17,1950, the base was renamed the Long Range Proving Ground Base, in 1951, the Air Force established the Air Force Missile Test Center. Early American sub-orbital rocket flights were achieved at Cape Canaveral in 1956 and these flights occurred shortly after sub-orbital flights launched from White Sands Missile Range, such as the Viking 12 sounding rocket on February 4,1955. Following the Soviet Unions successful Sputnik 1, the US attempted its first launch of a satellite from Cape Canaveral on December 6,1957. However, the rocket carrying Vanguard TV3 blew up on the launch pad, NASA was founded in 1958, and Air Force crews launched missiles for NASA from the Cape, known as Cape Canaveral Missile Annex. The row of Titan and Atlas launch pads along the coast came to be known as Missile Row in the 1960s, nASAs first manned spaceflight program was prepared for launch from Canaveral by U. S.
The 50th Space Wing is a wing of the United States Air Force under the major command of Air Force Space Command. It was activated on 30 January 1992, replacing the 2nd Space Wing, the unit is the host wing at Schriever Air Force Base, located east of Colorado Springs, Colorado. Their primary responsibility is to track and maintain the command and control, navigational, the 50th Space Wing manages the Global Positioning System. The wing operates satellite operation centers at Schriever AFB and remote tracking stations and other command, the group is composed of five active-duty and two Reserve squadrons, as well as one Air National Guard squadron. The group is composed of four squadrons, six detachments and the Program Management Office, 50th Mission Support Group Provides security, civil engineering, personnel, force support and logistic readiness support to Schriever AFB. The group is composed of four squadrons and a flight providing base support of the wings sites worldwide, the wing was formed at Otis AFB, Massachusetts. The 50th Fighter Group was assigned to the newly formed 50th Fighter Wing upon activation under the Hobson Plan and it trained in the Reserve between June 1949 and June 1951, being a corollary of the active-duty Air Defense Command 33d Fighter Wing. The wing was ordered to service on 1 June 1951 due to the Korean War. The 50th Fighter Wing was inactivated the next day,2 June 1951, on 1 January 1953, the 50th Fighter-Bomber Wing was reactivated as part of the active-duty Tactical Air Command. The 50th Fighter-Interceptor Group activated as the 50th Fighter-Bomber Group and became the primary combat element. 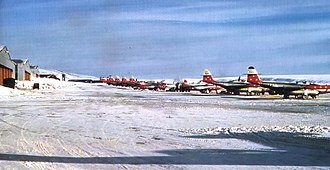 The groups squadrons were equipped with North American F-86F Sabres, once training levels for pilots and aircrews had reached operational levels, the 50th FBW began preparations for its move to West Germany. On 10 August 1953, the 50th FBW arrived at its new home, the 50th was assigned to the United States Air Forces in Europe Twelfth Air Force. The wing became the first tactically operational Air Force wing in 12th Air Forces jurisdiction, the 50th FBG consisted of the 10th, 81st and 417th Fighter-Bomber squadrons. The 25-ton North blast door is the main entrance to another blast door (background) beyond which the side tunnel branches into access tunnels to the main chambers. Newly arrived Fourteenth Air Force B-24 Liberators on the line at Kunming Airport, China on 6 September 1944. 14th Air Force B-24, China, c. 1944. The dedication ceremony of the Schriever Space Complex at Los Angeles AFB on 24 April 2006. Aerial photograph of Los Angeles AFB in 1994. The 45th Space Wing successfully launched a Delta IV-Heavy rocket carrying the NROL-32 classified payload for the National Reconnaissance Office 21 November 2010 from Cape Canaveral Air Force Station.